Today is Candlemas Day, an ancient festival halfway between the shortest day and the spring equinox and marks the midpoint of winter. Candlemas is also a Christian festival that commemorates the ritual purification of the Virgin Mary, forty days after the birth of her son Jesus. It was also the day when all candles to be used in a church during the coming year, were brought into church to be blessed. 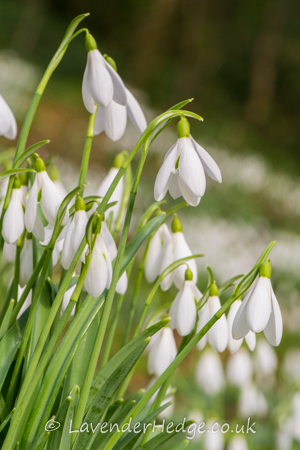 Snowdrops are also known as Candlemas bells and folk lore states that it is unlucky to bring snowdrops into the house before Candlemas Day. These delicate-looking flowers survive in the harshest of winter weather. The snowdrop, in purest white array, first rears her head on Candlemas day. 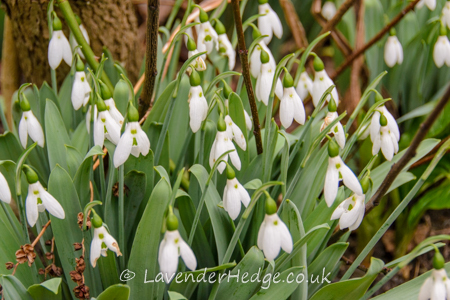 Check out my review of The Rococo Gardens in Painswick to see the snowdrops.